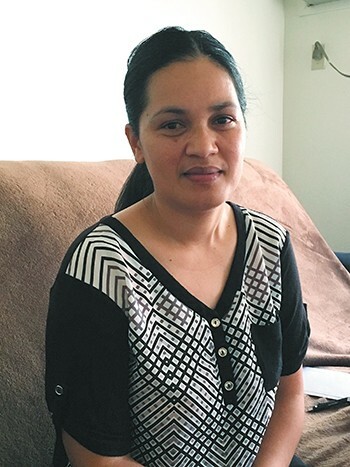 Daisy Smith was promised nearly $2,000 for a month of work. The scammers never paid her. Facing a mountain of medical bills, Daisy Smith and her husband, Isaiah Alee, needed to make extra money. Alee's health issues and surgeries put him out of work for a time, leaving Smith's job as a nursing assistant the family's only source of income. Last year, Alee found an ad on Craigslist for a work-from-home job as a "distribution assistant" for a company called "Fig Distribution" that appeared to ship items purchased on the internet. Smith corresponded over email with people claiming to be managers with the company, and eventually she signed a contract to work for them, which in her mind lent legitimacy to the operation. She also handed over her banking information. That's how she was supposed to get paid. "I have received and registered all the necessary documents," someone claiming to be from the company's human resources department writes in an email to Smith. "Manager will send you all the detailed instructions, report templates and documents required for the working process to the email indicated in your employee profile. We appreciate your decision to advance with our company. I believe it is the beginning of a long-term mutually beneficial cooperation." Soon, packages started arriving at their Spokane apartment. Smith was instructed to open them, check the contents, stick the prepaid label on the box and ship it out. She was promised $1,800 for a month of work. Smith dutifully tracked the packages that filtered through her hands — items such as an iPhone 7, Teavana tea and a $2,600 camera. But, she says she never got paid. Unknown to Smith and Alee, who immigrated here from the Marshall Islands, the whole thing was a scam known as "reshipping." Boise-based postal inspector Darin Solmon says he is constantly dealing with these types of rackets. 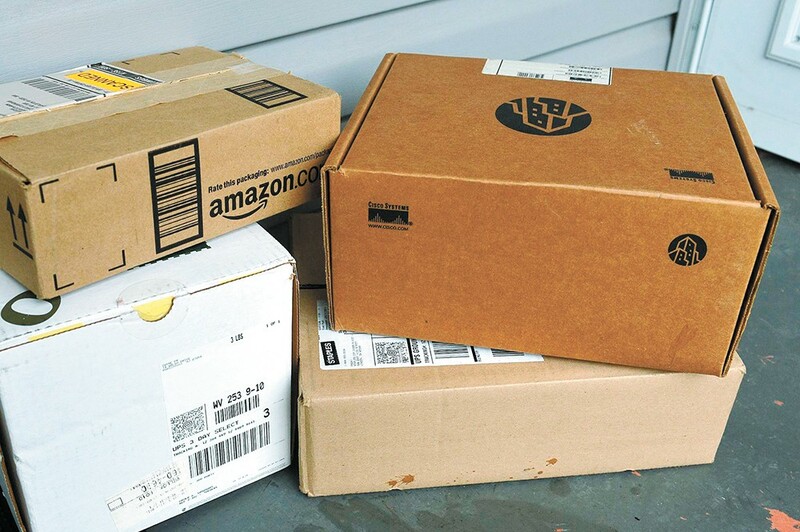 The Better Business Bureau has also warned against similar package forwarding scams in other states. Yet, earlier this year, Smith was arrested from her apartment, she says, after working a double shift as a nursing assistant. Spokane prosecutors charged her with two felonies: trafficking in stolen property and money laundering. She spent two nights in the Spokane County Jail and was fired from her job because of the charges, she says. Then, in August, Deputy Prosecutor Casey Evans dismissed the case for "evidentiary issues," according to court documents. Evans declined to comment further when contacted via email. So while Smith is out of legal jeopardy for now, the 34-year-old with no criminal record is struggling to put her life back together after falling victim to an internet scam that threw her into the criminal system. "Despite the fact that she was a victim, she was charged and had to go through the hellish process of going through the criminal system," says Andrea Crumpler, Smith's lawyer. "She has no criminal history and was put through a system that she didn't belong in." The scam typically works like this, Solmon, the postal inspector, explains: Someone uses a stolen credit card to purchase an item and has it shipped to an "employee" like Smith. Typically, the thief has the item shipped to someone in the same city where they stole the credit card number, in the hopes that the credit card company won't figure out it's a fraudulent purchase. Once an "employee," like Smith, receives the item, they reship it, to the thief or elsewhere. In Smith's case, at least one item was sent to Russia, records show. "It's an elaborate fencing operation," says Solmon, the postal inspector, adding that he deals with similar scams on a regular basis. "Instead of a storefront, they're running it through people's houses. So two people are victimized: the shipper and the credit card victim." That's exactly what happened to Smith. Police tracked an item purchased with a credit card number stolen from a Spokane man to her apartment. Spokane Police Detective Elise Robertson says she waffled on whether to recommend charges against Smith. Ultimately, the decision came down to the fact that Smith had reshipped multiple packages and was accepting and opening packages that were not addressed to her by name. "Maybe you do it once or twice, but for an entire month?" Robertson says. "After the first couple times, wouldn't you think something is off here? If all the packages came to her house addressed to 'Daisy Smith,' I wouldn't have charged her. It would be more believable that she got scammed." Up until the prosecutor dismissed the case, Robertson says, they were prepared to take it to trial. She says this the first time she's handled a fraudulent "reshipping" case. "With juries, it's a 50-50 shot, and I told him 'If you have other stuff that's more important, then go ahead [and dismiss it],'" she says. "This isn't somebody I deal with all the time, but I stick by my decision [to charge her]." Solmon says it's rare that he recommends criminal charges unless a person ignores law enforcement's directions to stop forwarding packages. "A lot of times we don't charge anyone because the head of the snake is someone in international territory," he says, adding that people should check with the Better Business Bureau or their state's attorney general's office before agreeing to work for an employer they find online. Smith, for her part, has applied for other jobs, so far without any success. One potential employer declined to hire her due to the pending charges. Now that the case is dismissed, Smith is hopeful. Alee, her husband, says their medical bills have been sent to collections, and they still owe about $6,000. The original print version of this article was headlined "The Reshipping Scam"